The dismissal, on technical grounds, by a federal court judge on Monday of a lawsuit challenging the USDA’s raw almond pasteurization mandate will likely not end the controversy. “The court’s decision sidestepped the merits and substance of the lawsuit,” said Will Fantle of The Cornucopia Institute, a Wisconsin-based family farm research group and organizer of the almond lawsuit. The USDA’s lack of legal authority to enact the controversial raw almond regulation and its fumbling of the rule’s implementation were among major substantive claims detailed in the lawsuit – none of which the court has yet to rule on. 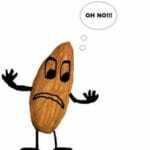 Eighteen California almond farmers and wholesale nut handlers had filed the suit against the USDA last September. Oddly, imports into the U.S. of foreign nuts are exempt from the rule as are exports shipped from the U.S. to other countries. These imported nuts, generally of lesser quality, are now destroying the livelihood of raw and/or organic, family-scale almond farmers in California. Consumers and retailers have turned to foreign suppliers, taking advantage of the regulatory loophole, for untreated raw and organic almonds. “This issue clearly illustrates how the Bush administration, at the USDA, sold out the interests of organic consumers and farmers in deference to those of corporate agribusiness, said Mark A. Kastel, who is Cornucopia’s Senior Farm Policy Analyst. When the almond pasteurization mandate was first proposed, the USDA notified 200 industry representatives who submitted, nationally, a total of only 18 formal responses during the legally mandated public comment period. In addition to their court case, The Cornucopia Institute last month launched a campaign asking President Obama and the newly appointed USDA secretary, Tom Vilsack, to clean house at the USDA’s National Organic Program and appoint officials who will promote a fair shake for family-scale farmers and consumers who are demanding authentic food in the marketplace. Interested members of the organic community can make their voice heard by sending Mr. Obama and Secretary Vilsack a proxy-letter, which is available on the Cornucopia Institute’s web site.